Boom! 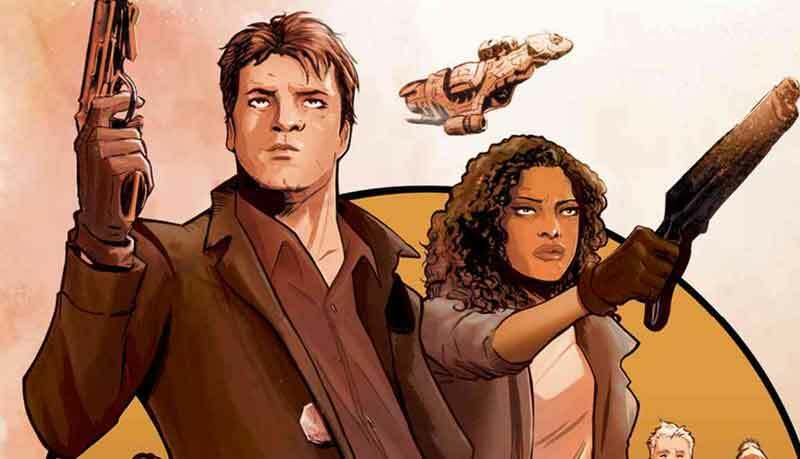 Studios has just announced that they acquired the rights to create and publish comic books based on Joss Whedon’s Firefly. 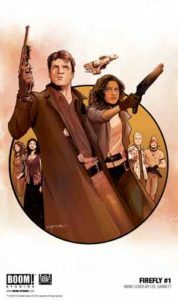 For all of us “Browncoats” out there it is therefore a great opportunity to go back to the adventures of the Serenity space ship crew. BOOM! Studios plan to release a new monthly comic book series, limited series, original graphic novels about the adventures of Captain Malcolm “Mal” Reynolds and his gang. The first issue of the Firefly comic book series will be released in November and there is quite a lot of anticipation due to the fact that we already know that the writer will be New York Times best-selling writer Greg Pak and the artist will be Dan McDaid (Judge Dredd). The series will go back to Captain Malcolm Reynolds’ origins by focusing on the Unification War hence showing us more about the background of the TV series Characters. Finally, we already know 2 of the covers that will be available for the first issue. Along with the first issue of the comic book series, Boom! Studios have announced the first book of the Firefly: Legacy. 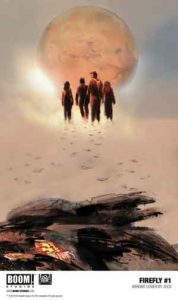 This book will collect all previously released Serenity comics hence allowing the readers to look back at the story of “Mal” and his crew. In order to sign yourself up for the series or pre-order the book, do not forget to come to our Montreal Store or to contact us.